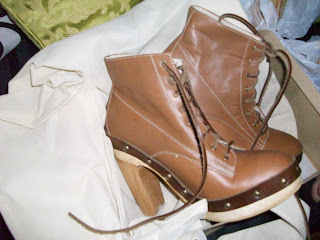 My brandy boots from Gold Dot have finally arrived!!! They are gorgeous! Sad though that when they arrived a couple days ago I was feeling totally under the weather and I didn't even have the energy to try both of them on. I tried one though, couldn't resist, but I had to put them in the box right after and go back to sleep. Another surprise? 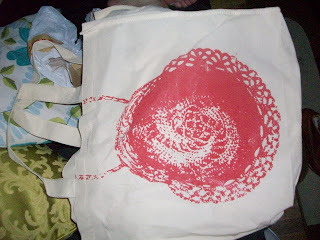 They came in this cute reusable bag! thanks for visiting my blog lover!! i hope all is well!! thank you for your sweet comments! !